Ibrox Noise: As another loan arrives, have Rangers got the signing strategy right? As another loan arrives, have Rangers got the signing strategy right? As another loan in Lassana Coulibaly puts pen to paper, on the face of it, a summer window filled with loans and frees seems a stingy way forward given all the pre-Steven Gerrard hype about him ‘not coming to Rangers if he wasn’t going to have a budget’ and the hysteria of a ‘£30M’ warchest. Rangers are not in that market any more – maybe in the future, but for now, most definitely not. The hard fact is we have signed nine players this summer, and only spent hard cash on three of them. Only Brighton’s Connor Goldson (£3M), Slaven Belupo’s Nikola Katic (£2M) and Brighton’s Jamie Murphy (£600,000) cost any money at all, totalling around £5.5M. Scott Arfield, Allan McGregor and Jon Flanagan were all Bosmans, while Ovie Ejaria, Lassana Coulibaly and the incoming Umar Sadiq are all loans. So, on the surface, the reality is Rangers remain financially strapped by comparison with Celtic, and our window, while certainly promising, nevertheless reflects this. And frankly it’s the right way forward. Last summer Pedro Caixinha wasted around £11M+ on a ‘revolution’ which simply left us with expensive surplus players we cannot get rid of. And that lesson appeared to have been learned in January as we loaned three players and signed just one outright. Two, if you add Declan John. This club, even with Pep Guardiola in charge, cannot risk blindly supporting any manager now with serious hard money. Not until the club is stronger, leaner, and starting to profit in a responsible manner. The strategy of bringing in inexpensive players like James Tavernier, Alfredo Morelos, Greg Docherty and Josh Windass then raising their asset value while rearing youth more seriously and topping up with wise bosmans and some loans is a long-haul game. Rangers, promoted in 2016, are still some way off being ready to face Celtic toe to toe. The players we have do appear to be a slight step up from last summer, but the reality is we would say that wouldn’t we? We’ve been here before folks, so while we like the current direction things are going in, we have a rookie manager and players who may or may not work out. But we do feel January’s approach was much wiser than last summer’s. Do we really want to spend £15M and find £10M+ was wasted on players who didn’t work out, but who looked like they should? We have genuinely taken financial risk on two players – Katic and Goldson – all permanent signings carry risk, but it’s more shrewd than signing half of Mexico and Portugal on the whim of a Celtic fan who couldn’t believe his luck in getting the job. 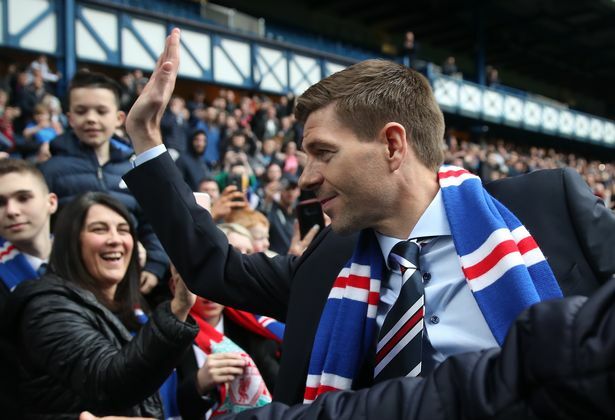 We will see how it plays out – we will see just how good Steven Gerrard turns out to be as a manager, but really, the balance of the window is wise. Three permanent signings, three loans, and three Bosmans. It is the right parity between risk and safety. Whether the players work out, we’ll see, but the strategy is arguably fair. I think we have dealt well so far . Mark Allen has really shown his ability worth and knowledge of pur Markey and capabilities both financially and to make the changes Steven Gerrard has demanded. Flanagan is a bargain as is Gold son...Katic will be worth lots more very soon It's all positive and let's remember the Rotten Mob Apart we are better than the rest already !!!! Just popped a 3m bid in for centre back cooper too, hopefully a solid replacement for Alves. Clearly, the profile of the club has increased significantly with the arrival of the manager. Potential signings ( and their agents ) are acutely aware of the opportunity to enhance their careers in the long term, through a connection with 'The Gerrard name'. In this respect, the board have displayed incredible foresight ( with no little amount of bravery attached ) in making this appointment. For me, the risks are negligible, as almost in an instant, we have become a global brand again. Players are lining up to wear the jersey. Or, more importantly, fight for the right to wear the jersey. Debating formations, budgets and wages on social media is all fine and dandy. No matter if the club ends up with forty first team squad members, permanent or otherwise...the eleven chosen to take the field should consider it an absolute honour, and subsequently perform with a passion befitting of it's history. It’s more than £5.5m IN. Do you think we get the loan players for nothing?There will be a hefty loan fee for these players. I don’t see why we need another midfielder. I would like to get some of the dead wood off the wage bill or it will cripple us. I'm just concerned at what impact the loan signings will have. Arguably the most successful loan we had was Murphy. Young players just don't tend to hit the ground running and need a settling i period, by then they are back to their parent club. Those are decent Bosmans but to be honest. As for Coulibaly reports saying MA has pulled off another stroke - Rangers have first dibs on him after next season...Not a bad move tbh.. Think the signing policy this year has been spot on and should be the model for future years. We should look to spend around £5-6m on a couple of quality players, 2-3 good Bosmans, and promoting a couple of youth players. Then a few try before you buy signings in January. Some will say that the quality of player is not up to the mark yet and they may be right. But a gradual improvement each year with an emphasis on youth is definitely the way ahead. We just have to accept this is the financial situation we are in until we start filling the Ibrox Trophy Room!